Karma rarely catches up with the top football teams, as they will usually chuck money at any problem that comes their way. But every now and then we can look forward to a little bit of schadenfreude, some misfortune showered upon the "villains" to make us all feel a little better about ourselves. Think about Russia defeating Spain in the World Cup or the law finally catching up with Sepp Blatter: that kind of thing. Yes, we know that "Zizou" technically quit as the coach of Real Madrid, but a lot of us think that Florentino Perez held a (metaphorical) gun to his head. Looking around at the Frenchman's next job odds from Sky Bet, we see he can be backed at 8/1 to take the Juventus gig. How cool would it be to see Zidane and, perhaps, Ronaldo holding aloft the Champions League trophy, as Perez, stroking a white cat, fumes in the executive box? Look, not everyone supports the biggest teams in Europe. And, with each passing year UEFA gives its best impression of George Orwell's Animal Farm: All football clubs are created equal, but some are more equal than others. The Champions League and Europa League qualifying has been again adjusted and weighted towards the big leagues. Qualifying has been eradicated all together for members of the Big 4 leagues. Celtic – the first British club to lift the European Cup – play in the first qualifying round this week. As champions of Scotland, they will need to negotiate four rounds to qualify. A farce. There is a real fear that if Manchester City march to the league title again, the Premier League will become boring, stale, predictable. 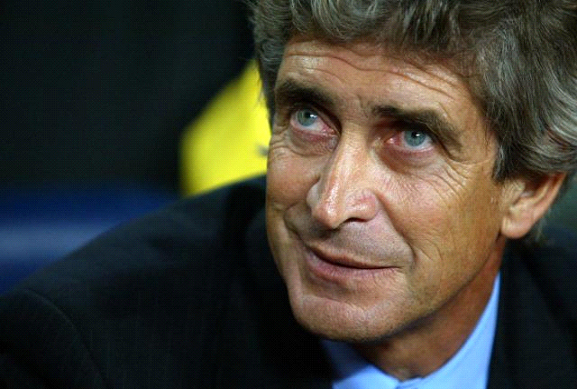 8/13 odds (William Hill) have been offered by several major bookies for the Citizens to retain the title. Sorry United fans, but we are not too keen on Mourinho in this fantasy either, with the Red Devils coming in at 7/1. Liverpool, perhaps, at 5/1? It would be wonderful to see City cast-off, and genuine nice bloke, Manuel Pellegrini lead 500/1 West Ham to the title, wouldn't it? Whoever you back, use this William Hill free bet offer first. An odd one this: Bastia suffered a quadruple relegation in 2017 due to financial irregularities. After five seasons in Ligue Un, they now find themselves in the fifth-tier of French football. During their time at the top, the "fans" made in their business to shame the club with blatant racist abuse, most famously aimed at Mario Balotelli. Nobody wants to see the real fans suffer, but the punishment fits the crime in this case. Neymar Jnr is a wonderful player, undoubtedly one of the best of his generation. But the World Cup demonstrated, once again, that he hits an 11 on the jerk-Richter scale. Not only was there diving, faking injury and all the rest, but there was also the "cult of Neymar". Take a look back to Thiago Silva's goal against Serbia at the World Cup and see how Neymar waited for the players to celebrate with him, not the goal scorer. This is not about an arbitrary dislike of Neymar either; his antics and selfishness have arguably cost the Brazil team. Brazil deserves better.